Episode 171 of Talk Ultra is here… We bring you a full and in-depth interview with Dan Lawson talking about his Jordan FKT, his ReRun Project and ’ Training for…’ UTMR in conjunction with MyRaceKit. We also bring you an interview with Eric Senseman and Elisabet Barnes co-hosts. This weekend, the Ultra Trail Mugello (here) takes place in Italy, close to the stunning Florence. Three races, a ‘Mini Ultra Trail,’ a 22km ‘Mugello Trail‘ and the main event of the weekend, the 60km ‘Ultra Trail‘ all bring a 100% trail experience to the region. The 60km event is a toughie with 3200 meters of elevation gain with semi-autonomous nature. It departs from the Badia di Moscheta, Firenzuola (FI) with 13-hours to complete the race. The first runner typically takes 6-hours. Racing starts for the UTM on Sunday, April 28th at 0600. The last runner will need to be at the finish before 1900hrs. The Ultra Trail del Mugello was the joint brainchild between ultra running enthusiasts and nature lovers proud of their land, and the Mugello Union of Mountain Municipalities. The Union manages 4 forests encompassing 110,000 hectares total. These parts are part of the patrimony of forests of Tuscany, and Italian region which accounts for 20% of all Italy’s forests. The Union of Mugello Mountain Municipalities manages districts stretching from the outskirts of Florence to the border of Emilia Romagna and the province of Prato. The great ridgeline of the Apennines crosses each, and they are places rich in history, art and abundant nature. From these lands were born some of the greatest artists such as Giotto and Fra Angelico, and Dante drew inspiration from the lands, where he was exiled from Florence. With this rich history in mind, a permanent trail was created for anyone who wishes to travel it, even outside of this event. The host site of the Ultra Trail del Mugello is the Giogo-Casaglia district, which encompasses 6,800 hectares of regional forests. These forests house an explosion of colors and scents, with crystal clear waterfalls; it’s practically a one of a kind natural and wild landscape. The forest fauna, thanks to regulations protecting these lands, is particularly rich both quantitatively and qualitatively. Home to numerous deer and roe deer, wild boar, skunk, weasel, badger, squirrel and many other fauna, it’s also become home again, since 1988, to a wolf population, thanks to reintroduction efforts to bring the environment back as it was in the past. There are also many birds of prey; in particular, in the Rovigo valley there exist Golden Eagle nesting grounds . 100% Trail is the slogan of the racecourse nestled in the heart of the Florentine Apennines; two races UTM and MT, with respective distances of 60km and 23.5km, and respective elevation gains of 3200m and 1280m. The race only touches asphalt for 300 meters, whereas the bulk is run on single track, mule trails, and forest roads. The route passes 7 mountain huts and bivouacs, which during the race will host refueling/refreshment points, as well as be the base of operations for safety personnel. Recently I was involved in a series of discussions about the Marathon des Sables. One thing that became very clear is the panic and apprehension many runners feel about a goal that may well be a ‘one-off’ or lifetime goal. Experienced runners will know how to goal set, they will know how to periodise and plan their training so that they hopefully arrive at a target event in peak form. This was discussed in Planning a Running and Racing Year (HERE). However, goals that go beyond one macrocycle (one year) require a much greater perspective and overview. If you are new to running, well, it can be just terrifying. A great deal of advice can be extremely counter productive as it makes many runners feel inadequate, inexperienced, lacking confidence and in the worse scenarios even questioning if they should even go ahead with the race. Let’s be clear. Everyone is an individual, I have yet to find two runners who need the same training plan or structure. However, certain scenarios work for all and it is with this in mind that I am writing this post. Why set a long term goal? 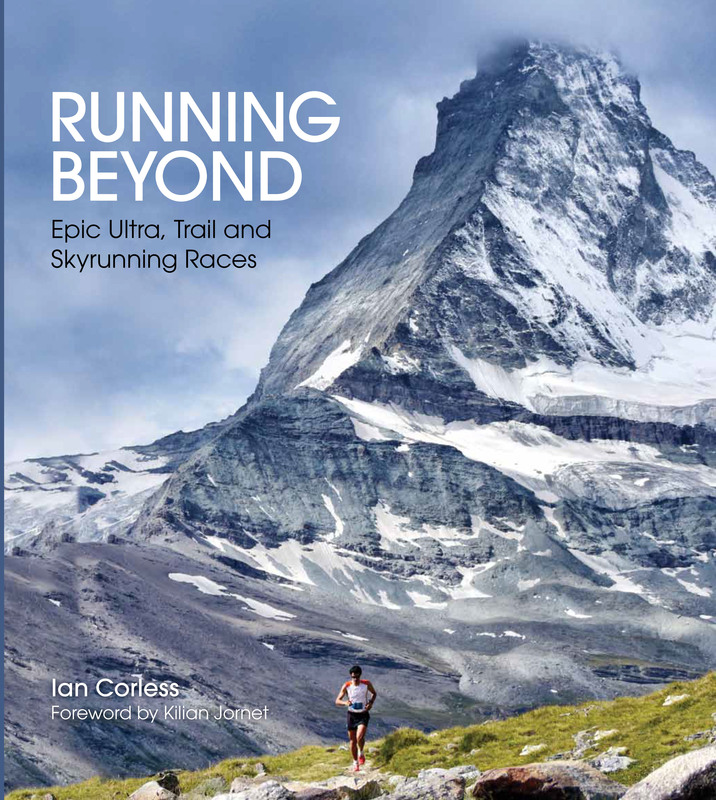 To that end, iconic races such as UTMB and Marathon des Sables, are races that for many are the ultimate race, they are races to be built up to and therefore a macrocycle is not enough time to prepare; hence long term goal setting. Irrespective of experience, two key words come in to play when setting a long term plan: Structured and Progressive. In this scenario, I am using goal setting for Marathon des Sables. A macrocycle is one training year and this is broken down into mesocycles. It may sound like a fancy word but a mesocycle is a series of blocks of training that make up one macrocycle. 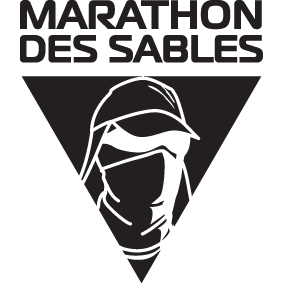 For purposes of explanation, let’s assume that you are running the Marathon des Sables which takes place in April 2020. I always recommend getting a year planner so that you get a big picture of what lies ahead. Fourteen months may seem like a long way off, it is, no need to panic, but also don’t become complacent. What’s important here is experience. I am therefore going to have two runners. Please Note – This guide below is geared towards someone who aims to run as much as possible at MDS. Very few run all of MDS and most walk considerably more than they think. For me, walking is a key element to a very successful training plan. The structure below still applies, the sessions would adjust accordingly. Runner A has run a marathon, runs to keep fit and has set the lifetime goal of Marathon des Sables. Priority is completion. Runner B has been running for years, eats marathons for breakfast, races ultra races regularly and is going to Marathon des Sables as a challenge, to test him or herself and plans to compete over complete. You don’t need to be a rocket scientist to work out that runner A and runner B need completely different training plans and strategies. Keeping in mind that A has less experience, more insecurities and a great deal of anxiety about the big target, I will talk through the possible planning cycle for A. Phase 1: Apr, May with C race objective (half-marathon). Phase 2: June, July, Aug with B race objective (marathon to 50km). Phase 4: Dec, Jan with B race objective and/ or specific warm weather training camp. Phase 6: Apr – A race. Is all about consistent and regular running based on available time, ability and commitments. Set yourself a C race target for the end of this period. It could be a half marathon. It’s always good to have intermediate targets to work to and we often use C and B races as stepping stones to an A race, in this scenario, Marathon des Sables. How many hours a week can I train? In phase 1 we want to just walk, run or walk/ run and build a base of fitness from which to build. No need to rush in and panic. Be sensible and progressive. A safe way to do this is build for three weeks and on the fourth week rest and recover, Yes, rest and recovery is just as important as running. Use this system in phase 1 building week on week over four months to lay a great foundation of progressive miles and time on feet. If you have built progressively, your Sunday long run will have progressed to over three hours which puts you in a great place for a C run target. A marathon would be a good C target at the end of phase 1. You wouldn’t taper for a race like this, it would be a training run that would be added to your plan. You have phase 1 under your belt and the confidence of completing a C target. Phase 2 now builds and at the end of this phase you will have a B race target as a goal. This race should be challenging but not so challenging that it becomes intimidating or breaks you. If you ran a half marathon as a C race, then your B race could be a marathon. If your C race was a marathon, then your B race may be a marathon or 50km race if you feel that training is going very well? It’s also important now to think ahead to Phase 3 and an intermediate A race target that will motivate you and boost your confidence for phase 4, 5 and 6. Also think about planning and booking heat chamber sessions or equivalent for the final build up phase just before the race; this usually takes place in the final 2-3 weeks and sessions go quickly. In the UK, a race takes place in November called the Druids. It’s a three day race where runners take on a marathon for three consecutive days. It’s a perfect ‘mini’ Marathon des Sables scenario and a great opportunity to test clothing, pack, fitness and build confidence. Assuming that four days training are still possible and that you have had no injury issues or problems, we can now progress training building on endurance in the long runs and adding some faster/ strength sessions during the week. Saturday – Cross training and strength. As in phase 1, progression is really important and the plan would actually change and evolve over this period with each month looking different. The above plan is a guide and this is where a run coach can step in and provide structure and remove the guess work away from how the plan is put together. It’s all about placing the right emphasis at the right place and at the right time. You will see how month 3 changes from months 1 and 2 so that it is specific to the B target at the end of this mesocycle. You have just completed your longest run in a B race, be that 50k, 50m or somewhere in-between and your confidence is sky high. You now have an A race on the horizon (November) that involves three back-to back marathons and suddenly your appreciation of what is required is much clearer. You respect the Marathon des Sables target but now it is less intimidating as you have moved your way up through logical and incremental steps. Another three month phase of training that allows is to fine tune and hone in on the racing skills required. As you may expect, phase 3 starts with recovery from your B race target. You will need to cross train or just run easy for 3-4 days. By the time the weekend comes around, you will feel as though recovery is well on the way, don’t rush. Take your time and the following week run easy Tuesday and Thursday for up to 60-minutes and then do 60 and a 90-minute run on Saturday and build on the Sunday run. An example of phase 3 is below. Please remember, YOU are an individual with specific needs and what I provide below is a possible structure leading to an A race in November. The A race at the end of November provides a significant marker in your training. The experience will allow you an opportunity to find out what worked, what didn’t work, how your kit worked, what was good, what was bad and so on. December is now upon you and Phase 4 is an opportunity to look at weaknesses and work on them so that you are in great shape to take on Phase 5 which is the final period before your key race. 1. If you lacked endurance in your November A race, keep working on consistency and build endurance with time on feet. 2. If you lacked speed and want to run faster, December is a perfect opportunity to cut back on distance and long runs and add some speed work. 3. Due to the demands of running with a pack, running long and all the associated fatigue, make sure that you incorporate a strength and core routine to make you a stronger runner. It’s easy to say here, ‘I don’t have the time!” You do, cut down your run time on a Tuesday and Thursday and free up time for strength and core. Maybe you can even find an extra day in your week (Wednesday) to allow you to work on this. Alternatively, work on strength and core at home maybe while watching television? The time is there, you just need to find it and be creative. 4. Practice walking. Effective and fast walking is a key weapon to a successful race in any long ultra or multi-day race. With a new year coming, April and the heat of the Sahara looms on the horizon. January provides a perfect opportunity for a warm weather training camp just as the weather is wet, miserable and cold in Europe. Now is the time to make sure you have all your admin sorted – insurance, medical, compulsory kit and so on. Don’t leave anything to chance now. If in doubt about equipment, contact MyRaceKit, they are able to provide expert advice in regard to everything that you will need. Pack weight is a consideration and get it as close to 6.5kg as possible. On day-1, when you add water it will be 8kg. BE CAREFUL training with too much weight, it is a guaranteed route to injury. For sure, do some sessions with weight, be progressive and slowly build up. Just do one session per week in the final phase and only do 1 or 2 sessions with pack at 8kg and do not go too long. Phase 6 is race time. Be organised, be prepared, think of everything and have the race of your life. It’s in this final phase when you are so close that little things can go wrong. Be prepared as best as you can. You can’t account for the unexpected but reduce chances of anything going wrong by taking no risks. The information provided above is designed to provide an outline and a guide on how to plan for a long term goal. Although you may be able to take this plan away and use it, please be sensible and assess your own experience, fitness and goals. Importantly, the scenario provided is with a multi-day race in mind, you would need to tweak and adjust this for a single stage race or a mountain ultra for example. I can’t emphasise enough that we are all individual, so you need to find out what works for you.